We assist our clients with a wide range of tax services from simple tax return preparation to more complex tax planning strategies. Doshi & Associates, CPA, PLLC offers a complete range of financial services to meet the needs of both our business and individual clients. We offer a full range of advisory services for businesses and individuals and are committed to assisting clients achieve their objectives. Doshi & Associates, CPA, PLLC is an experienced CPA firm who knows how the tax laws apply to businesses in your industry. 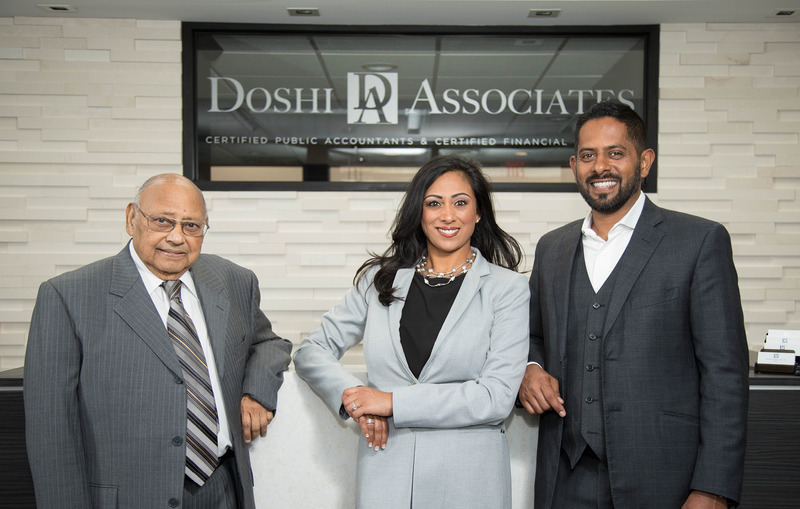 Doshi & Associates, CPA, PLLC is a well-established local and nationwide CPA firm with expertise in all facets of financial management, including taxes, accounting, bookkeeping, QuickBooks, payroll, business consulting, and much more. We serve a wide range of both business and individual clients. We’re noted for our strong commitment to integrity and our policy of tailoring our services to the individual needs of each client. Our dedicated professionals will make you feel at home in our family owned and friendly office environment. We offer a comprehensive menu of services including tax assistance, accounting and bookkeeping, new business consulting, and payroll services, all delivered with a commitment to quality and value. including helpful accounting articles useful for your business. They are very professional and make you feel very comfortable. It’s a wonderful experience to work with them. The friendly staff understands your needs and provides the needed service in an efficient manner. Doshi & Associates has every key product you could ask for. Customer service and services provided, there is nothing I can say bad about Doshi & Associates.